The Pinnacle program of SPE recognizes Sections and Divisions that successfully create and deliver member value during year. Sections and Divisions are reviewed in four categories of achievement: organization, technical programming, membership and communication. 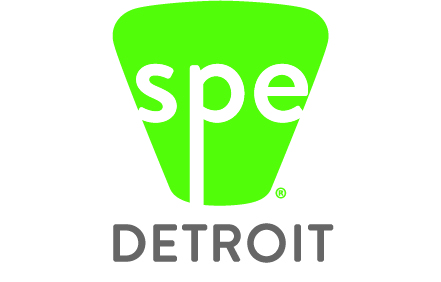 SPE Detroit received the Pinnacle award in 2015 and 2016. · Submit to SPE HQ by Dec.
2. Lifetime Achievement award 1 or 2: Primary Responsibility…Awards Chair with Awards committee along with President and Past-President. · Criteria: Section Individual achievement over 2+ years. Max 2 recipients per year. TBD by vote of Board. Repeat winners possible after 5 years lapse. · Nomination by April. Presentation in May. · 2014: Sandra McClelland, 2011:Jim Keeler, Others include, Cindy Hammer, Don Root, Ron Price, Tom Miller, Alison Knapp, Don Meadows, Nippani Rao, Ted Combs, Mike Schumaker and Tom Powers. · Nominations by April. Presentation in Oct.
· Criteria: Significant volunteer and financial contributions to the section for a minimum of 5 years. A maximum of 3 companies, Large, medium and small. 6. Outstanding Member Award : Primary Responsibility… President-Elect& The Nominator. · Nomination by April. Presentation in Sept.
10. Honored Service Member: May be nominated by any Section Board Member. · Criteria: Minimum of 18 years experience credits and senior member in good standing for 6 consecutive years. For more details see awards chair. · Submit by Oct.30 to National HQ. · Criteria: To be elected a Fellow of the Society a candidate must have demonstrated outstanding achievements, sponsored by a section or division, have a minimum of 18 experience credits and a senior member in good standing for six consecutive years. · 2014: Sassan Tarahomi, 2013: Irv Poston, 2006: Rose Ryntz and 2004: Norm Kakarala. · Presented at the ESD Annual Gold Award Banquet in February each year.